HESUS JOY CHRIST - The original classics as released, un-edited. The original five released at the Revue Cinema's Drop Your Shorts in 2009 and 2010. This six minute 35mm animated film is available to watch online for free at https://www.sites.google.com/site/hesusjoychrist/home/hypothermia-my-kayak-prayer - ONLY RENT THIS FILM AS AN ACT OF SUPPORT TO CONTRIBUTE TO FURTHER ANIMATION PRODUCTION from this animator. Thank You for your support. Having said that, this issue of HYPOTHERMIA / My Kayak Prayer is in 1440x1080 ( of 1920x1080 HD ), from the 5760 × 4320 Technicolor transfer of the 35mm film, with its watercolour snowfall effect, meriting HD resolution. This animated film tells the true story of the animator as a young man, paddling down the Humber River from the Old Mill, in Toronto, at night, in a snowstorm, the night it froze over, December 8th, 1986. It presents the conception of the idea of Marriage that is expressed in the HESUS JOY CHRIST animated series. This 35mm animated film was completed in 2008 with a grant from the Liason of Independent Film of Toronto ( LIFT ), where is was filmed on their 35mm animation stand, and a grant from the Ontario Arts Council. The first grant covered the cost of filming, and the second grant covered the cost of the production - the film stock, the film processing and the soundtrack processing. Soon the free viewing of HESUS JOY CHRIST will be discontinued on this site ! Instead, use the Free Trial, before subscribing to become an active Patron ! I do NOT make animation to make money !!! I make money to MAKE ANIMATION !!! Support this animation to fuel the biggest production yet : HESUS JOY CHRIST / Matthew's Five's Nine !!! Your interest is really, honestly, sincerely and greatly appreciated !!! 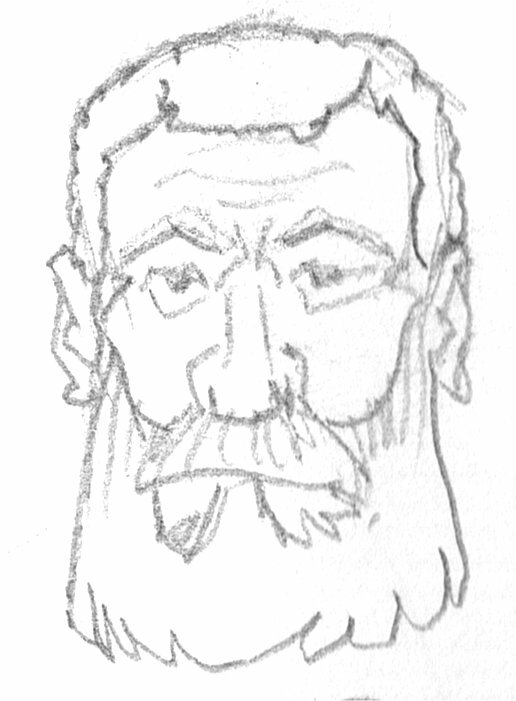 I intend to do my best to add Works in Progress and any other interesting content, from time to time, that I can generate throughout the year, even when I employed full time during the Spring, Summer and Fall. For the past six years I have been watching and waiting for an opportunity to complete the next blast of HESUS JOY CHRIST !!! Now that I am returning to full time work next spring the countdown is on to complete the 6,000 "drawings" for HJC/Matthew's Five's Nine in the budgeted available 700 hours, by December 16th, 2017 !!! Check back here to view reports of the progress in the Updates section of this site, further below. Date posted : Friday, November 11th, 2016; Thursday, March 9th, 2017 . Below is the mass of animation to date. 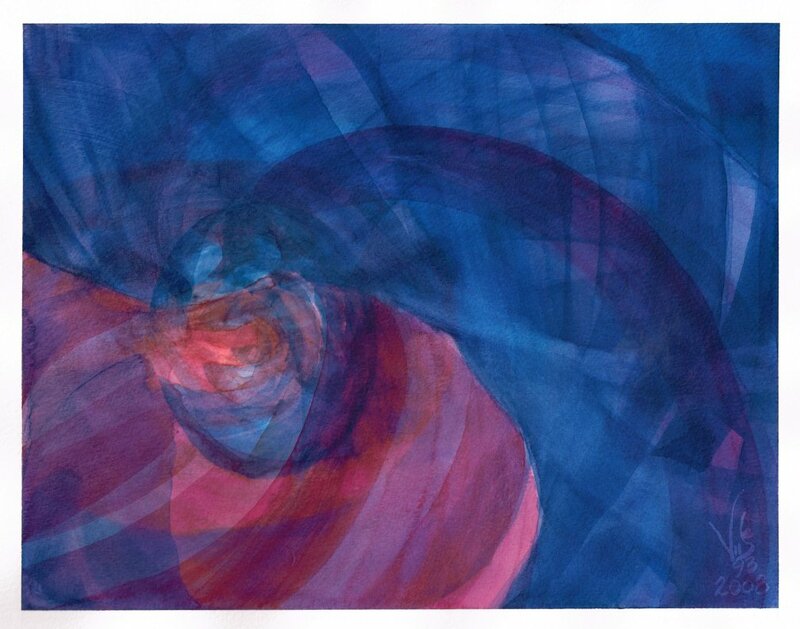 There is more animation and artwork available at: "http://www.sites.google.com/site/vid932008/animation/"
Date posted : Thursday, November 17th, 2016 . Date updated : Sunday, July 1st, 2018 . View it all for free here at this link : "https://www.sites.google.com/site/hesusjoychrist/" and dig into almost all of the Discussion there as well !!! 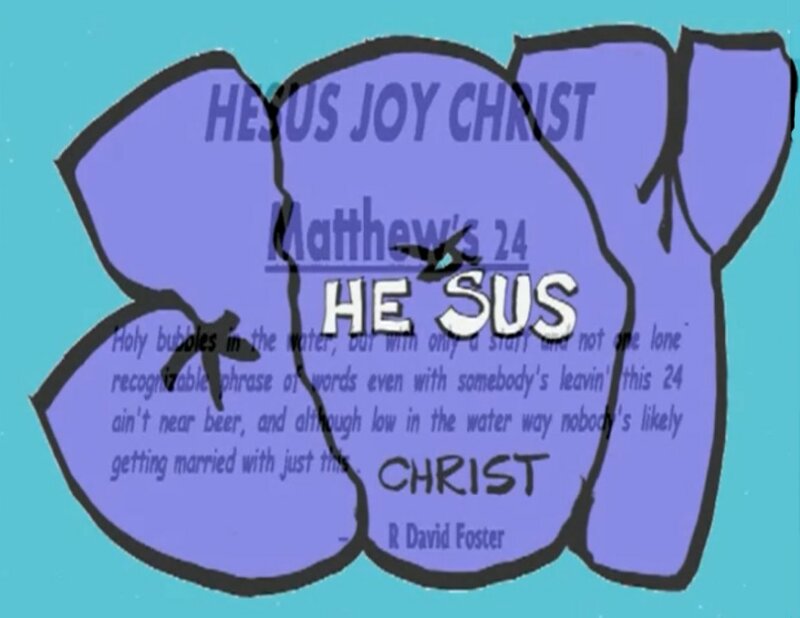 Check out everything to date at https://www.sites.google.com/site/hesusjoychrist/home/hesus-joy-christ/ and in the future . . . browse our full selection of fine films. Roll over the selections below to learn more about each title and watch a trailer. All titles available with Instant Streaming, HYPOTHERMIA is in HD for rental and the HJC classics are available for instant purchase streaming!! The trailer preview of Product Content to be, is available !!! For the past few weeks I have been trying to find time to craft the custom code to place this upcoming HESUS JOY CHRIST episode's trailer without having a Product to pin it to. VHX.tv was great in letting me know I can access the code for my site vid932008.vhx.tv and I didn't have to learn anymore html or CSS than I already knew to get this done. Basically I want to generate some buzz to justify the 700 hours I'll have to scrape up to create and process a budgeted 6,000 'drawings' to complete HESUS JOY CHRIST / Matthew's Five's Nine, by next spring before I return to full time work, joyously !!! I don't make animation to make money, I enjoy irrigation digging for that ! I make money to make animation !!! What have I been up to, you ask, FaceBook? Pace yourself this Christmas Season - RENT HJC !!! Pace yourself this Christmas Season - RENT HJC and watch it as much as you are capable for the duration of three days, at half price - $2.22 USD. Pace yourself : rent HJC for viewing only over 3 days, for half price, at least. 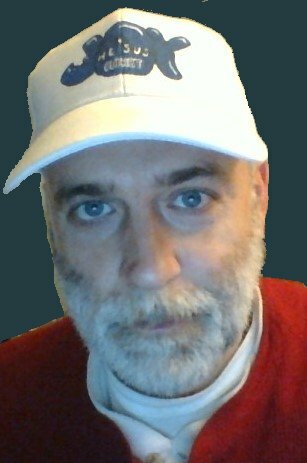 And yes, the E-Book is still on the way, to be available by Friday, December 19th, at or very near to http://www.lulu.com/ca/en/shop/r-david-foster/hesus-joy-christ-discussion-of-the-animation/paperback/product-21307115.html . Gifting of vhx downloads of HJC's first five episodes are now here. Visit vid932008.vhx.tv for more information and to gift this animation to your family and friends !! Animation production to get the message outta' me !! New to this . . gotta' start somewhere ! and if I don't create animation I am sure I will burst ! Each of the first five animations of HESUS JOY CHRIST ranged from one week of work up to three weeks of work to complete. In comparison, this Matthew's Five's Nine episode, began pre-production in 2010, and will be in full production this winter, has one scene almost completed that has a duration of 5 - 1/6 seconds, but took OVER 130 HOURS TO GET IT JUST TO THIS POINT !! THAT'S OVER THREE WEEKS FOR LESS THAN SIX SECONDS OF ANIMATION !! To be fair, there are of 70 figures walking around in that scene, but still, it is a very ambitious undertaking. Never fear though, as I intend to sell each animation for under $10 to purchase, and less to rent, but this platform will also allow me to offer compilations and almost an hour of production video showcasing the making of HYPOTHERMIA / My Kayak Prayer . 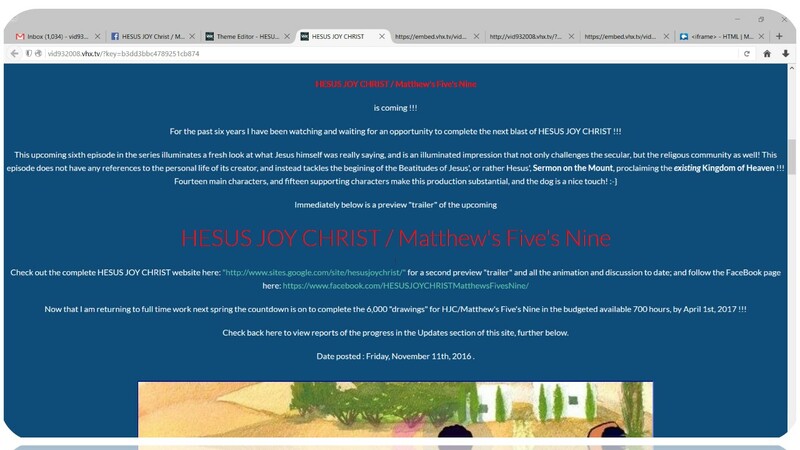 and view all the animation, H-MKP and five episodes of HESUS JOY CHRIST , and two previews of Matthew's Five's Nine , now in production.